Mary Neubauer and Terry Rich of the Iowa Lottery. 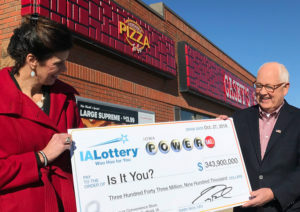 A ticket sold in Iowa for Saturday’s Powerball drawing is worth $343.9 million. The Iowa ticket and another one sold in New York City matched all five numbers and the Powerball number. “I love the dichotomy of a ticket sold in Manhattan in New York and then a ticket sold here in Redfield, population 835,” said Mary Neubauer, a spokeswoman for the Iowa Lottery. A Casey’s in Redfield sold the winning Powerball ticket. Redfield is five miles north of Interstate 80, about 37 miles west of Des Moines. The community is a “slice of Americana” according to Neubauer. As she spoke to reporters in the Casey’s parking lot, you could hear the grain dryer running non-stop across the road. The size of the jackpot requires a trip to Lottery headquarters to claim the prize, but it’s unlikely the person will show up to claim it Monday when the office opens. Iowa law requires public disclosure of the winner’s name. The winner may choose an annuity or a lump sum payment. The annuity would be worth $343.9 million. It would be paid out in 30 payments over the next 29 years and state and federal taxes would be withheld. The lump sum payment would be $140.6 million after taxes. Neubauer had two other pieces of advice for the person who holds the winning ticket. For security reasons, Lottery officials do not reveal exactly when the ticket was sold. The lottery’s CEO told reporters there was a sales surge due to Saturday’s Powerball jackpot. “On a typical Saturday, we’ll sell around $250,000 of tickets. We did a $1 million worth of tickets (Saturday),” Rich said. Last week’s Mega Millions jackpot, along with the growing Powerball prize, spurred $3 million in ticket sales through Friday night. That’s an 83 percent increase from what’s typical, according to Rich. 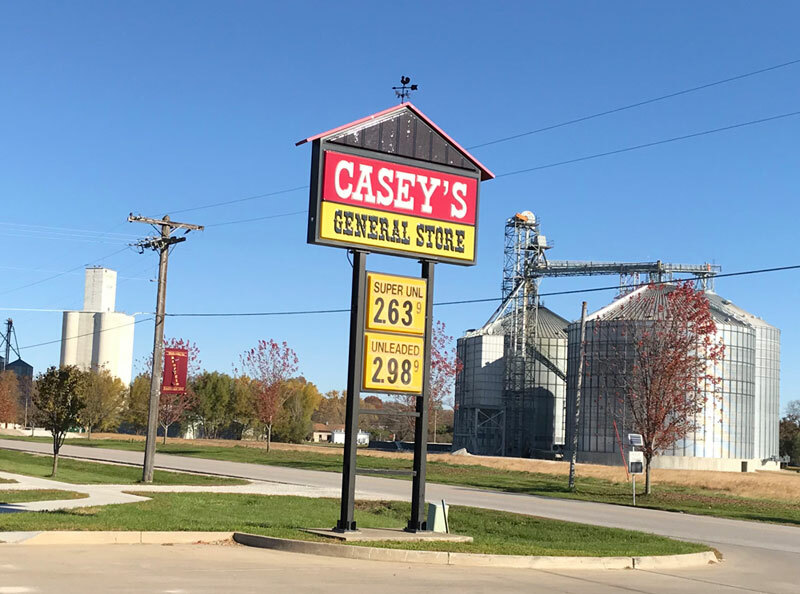 Casey’s General Stores will get a $10,000 bonus from the Iowa Lottery for selling the winning ticket. That’s standard for any retailer that sells a jackpot winner. 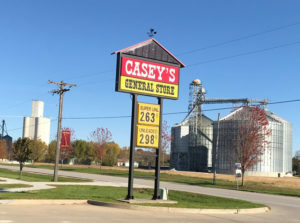 Neubauer said the Casey’s in Redfield is likely to experience the “lucky store” phenomenon, too. The store sits just off the curve of a county highway. It’s the only place in Redfield to buy milk — and a lottery ticket.